Roughly one in four adults over age 65 does not drive in New Jersey, some 300,000 seniors. Reasons cited for not driving include declining health and eyesight, concern over safety, and no car or lack of access to a car. These non-driving New Jerseyans face increased isolation and reduced access to health care, according to a national study released this month. Older non-drivers make 15 percent fewer trips to the doctor, 59 percent fewer shopping trips and visits to restaurants, and 65 percent fewer trips for social, family and religious activities when compared with older drivers, the study finds. Manchester, Berkeley and Monroe Townships have the highest percentage of households in New Jersey with at least one adult over age 65: 73.1 percent, 70.3 percent and 64.7 percent, respectively. These communities are largely auto-dependent, with limited sidewalks and public transit, and no downtowns. One in every seven New Jersey adults will be age 65 or older by 2025, a jump of 39 percent over today’s senior population. The abundance of sprawling “adult communities” under construction suggests New Jersey is preparing to meet the challenge. The national study cited above suggests the opposite. Auto-dependent development already helps keep more than half of New Jersey’s non-driving population at home on any given day. This problem is perpetuated by adult communities inhospitable to anyone without a car, composed entirely of housing and sited miles from the nearest stores and offices. Such sprawling development also makes other public transit options impractical, evidenced by the fact that only 1 in 20 older nondrivers in spread-out development use it occasionally, compared with more than half of those who live in denser development. Denser development, especially when it includes a “mix of uses” such as shops and offices, also offers more reasons to walk: one in three older nondrivers living in denser development walks on a given day, compared to 1 in14 living in more spread-out development. The national study calls for greater investment in public transportation, safer road design for walking and biking, and most importantly, better coordination of land use planning with transportation planning. 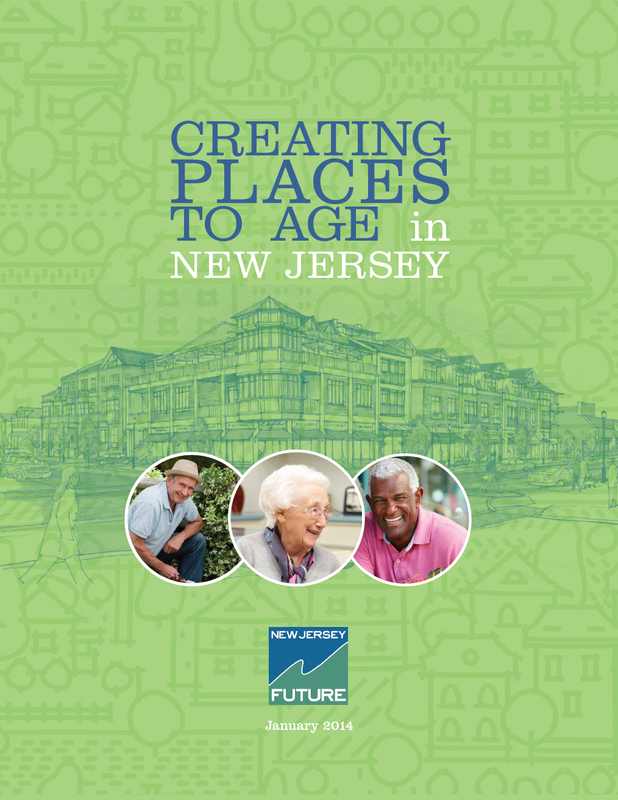 Redevelopment of New Jersey’s more densely developed communities, particularly its older suburbs and cities, can help restore housing and transportation options for many older New Jerseyans, and contribute to a higher quality of life for all who cannot, or will not, drive.